"The Etude" Music Magazine Items Tagged: "The Etude" Burpee's F.A. for 1905 is now ready to mail. 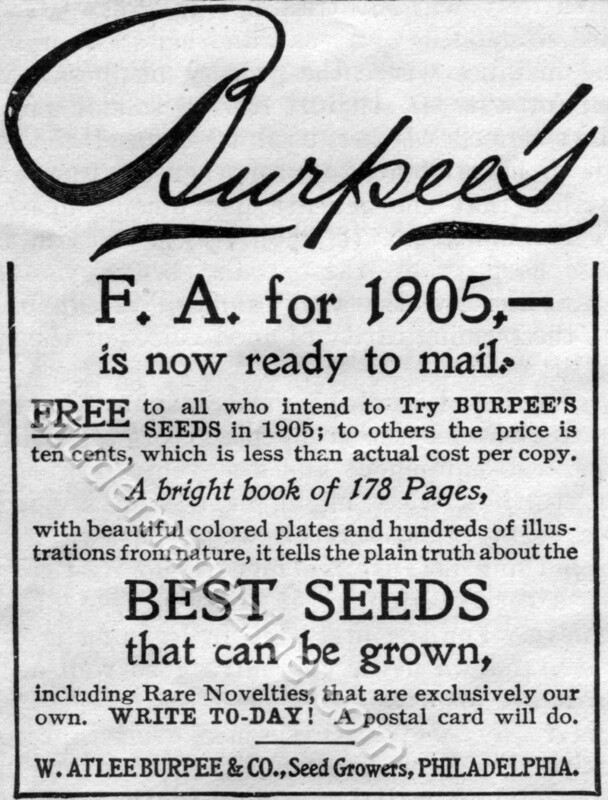 FREE to all who intend to Try BURPEE’S SEEDS in 1905; to others the price is ten cents, which is less than actual cost per copy. own. WRITE TO-DAY! A postal card will do.